Reading the text messages is always seems to be really interesting moment and it is more amazing when you receive the message from someone who is special to you. Almost everyone receives the text messages one or another day but sometimes accidently the messages gets deleted due to which the users might not be able to read the text messages. Here, you will learn several ways to read text messages that was deleted and even some of the online apps which will help you to read the text messages anytime and anywhere. Make sure to go through all the methods in order to choose the best and easy way which can be reliable to you. The easy and best way to read the deleted text messages on iPhone directly is by using Tenorshare UltData - iOS. This tool can help you to get back all your deleted messages just in few clicks. UltData is compatible with latest iOS 12 as well as iPhone XS/XS Max/XR. Below, I have shown the step by step guide to read text message on iPhone directly. Step 1 You need to download and install UltData tool on your computer. Join your iPhone to computer using USB cord. Step 2 On the main interface there will be few options, click on "Recover from iOS Device" option which will be default selected. Now select "Messages & Attachment" option from the screen and click on "Start Scan" button. Step 3 All the deleted as well as existing messages & attachment will be shown on the screen. Click on the message to preview the details. 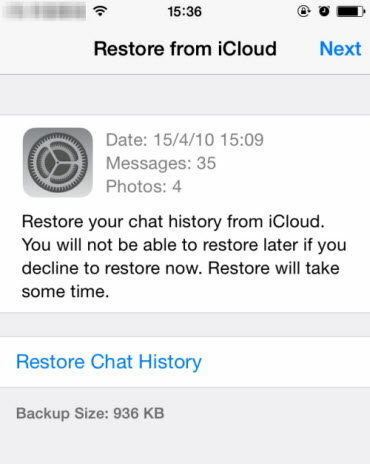 Or you also can click on "Recover" to get back all your deleted messages to your iPhone ot computer. Backing up all the data and content using iTunes is a traditional method though this method can be used with the combination of modern method. You can use Tenorshare UltData - iOS to recover all the deleted text messages from iTunes backup. This tool is way more faster and convenient to use than iTunes and also helps to recover the lost data selectively and safely. Step 1 Just download and install UltData - iOS on PC/Mac and then open the software. As soon as you see the main interface, click on "Recover from iTunes Backup File" (which will be on the top of the menu bar). All the iTunes backup will be displayed on the screen. Select the backup file that you want to recover and click on "Start Scan". Step 2 All the deleted and existing item will be shown on the screen once the scanning process is completed. Select "Messages" option from the left side column of the screen and click on Recover button. If you are an Android user and don't know how to read all the deleted as well as existing messages then read the given step by step guide. All this is possible due to UltData - Android. This tool can easily recover not only messages but also contacts, videos, photos and almost everything. It supports most of the Android tablets and phones with high data recovery success rate. Step 1 Download, install and launch UltData for Android on computer. 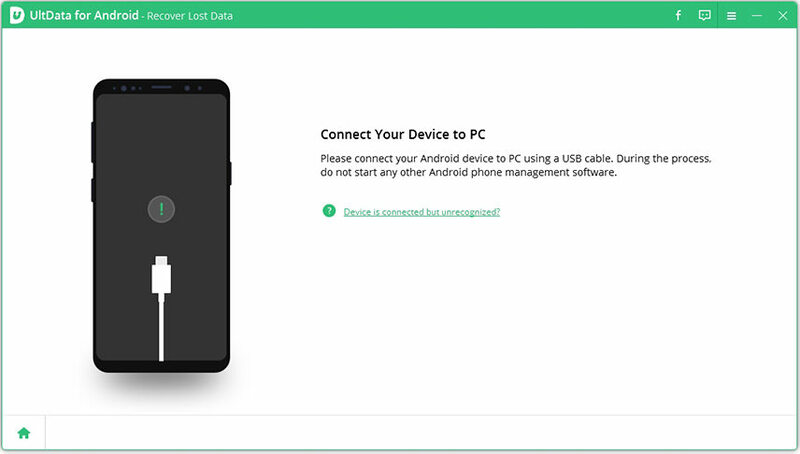 Connect your Android device via USB cable. Step 3 Select "Messaging" option from the list and click on "Next" button to begin the scanning process. Step 4 Soon the scanning process will be completed and you will be able to see all the deleted and existing messages on the screen. Double click the ones you want to read. Or click "Recover" to retrieve them to your device or computer. There are several apps that can help you to read the messages online. You can easily send and receive text messages just by using this app on your computer or tablet. These app should be synced to your Android phone & number in order to receive and send messages. Here, I have listen two such apps which can make your work easy to check messages online. One is MightyText and another is MySMS. MightyText is an online app that lets you send and receive the messages directly from your computer if the app is synced with Android phone and its number. All the sent/received messages will be stored in the synced phone SMS inbox. You even get the notification of other apps like WhatsApp, Snapchat, Instagram etc. directly of your computer. 1. Open Google Play Store on your Android phone. Search for MightyText app and install it (You will be asked the permission to install it, tap on "Accept"). 2. Next you will be asked to provide the Google account that is associated with the device and tap on "Complete Setup". Also complete the further process by tapping OK button. 3. Now search for "SMS Text Messaging - Tablet SMS" in Google Play Store from your tablet and install it in the same way, you did on the phone (Use the same Google account that you have used in your phone). 4. You will see an interface saying "Your tablet is now linked with MightyText". Tap on "Launch MightyText Tablet App" option to get started. MySMS is another app that helps you to read new text online. This app is available for Android as well as iOS version meaning all the Android devices such as phone and tablet as well as all the iOS device such is iPhone and iPad is compatible with this app. This apps syncs all your text message using your phone number or Google account that is associated with the device. You can easily send, receive and archive messages in Evernote, Dropbox & Google Drive or even export the SMS inbox to a CSV file. 1. Open Play Store/App Store on your phone. Search MySMS app and install it to your phone. 2. Next you need to use your phone number to create an account. Once the registration process is completed all the messages, calls, contacts will be synced to MySMS app. 3. Now, visit MySMS website and click on "Login" option and provide the info to get access inside it. All the text messages and contacts will be synced from your device and you can read, send and receive the messages online on your computer. If you are concerned about your children or you loved one and wanted to know whether they are connected with good people or not then you can use Spyera. This tool let you read all the text messages received on their phone. You can easily monitor their phones activity remotely from computer or even from your phone. The best part about this tool is that you can even read the deleted text messages of their phone. There are several features which will help to keep an eye on your children and loved one without their knowledge. Best free 7 ways to read text messages online has been mentioned in this article. Hopefully, now you know how to read deleted text messages on iPhone and Android device from iTunes Backup as well as online by using several apps. Tenorshare UltData - iOS and Android is the best way to read all the deleted and existed text messages. Try these tools and let us know what you think about these tools.